A total of 1,597 officers have been trained in Information Communication Technology (ICT), Alhaji Isa Sali, the Head of the Civil Service of the Federation, said on Wednesday in Abuja. This is contained in a statement signed by Mr Tope Ajakaiye, the Deputy Director (Press & Public Relations) in the office Head of the Civil Service of the Federation . Sali said the number represented the officers trained since the inception of the Specialised Mandatory Training Programme in 2009. Sali said this at the opening of the ICT training progarmme for another batch of 650 officers on GL 08 – GL10 at the Public Service Institute of Nigeria. He said that training was part of the efforts to reposition the civil service so that it could perform more effectively and efficiently. 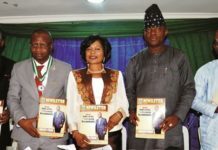 Sali further said that very soon, all ministries, departments and agencies (MDAS) of the Federal Government would be required to test the proficiency of their staff in ICT. He said this would ensure that some basic office routines were conducted solely using ICT tools. According to him, apart from ICT, other areas where the service is receiving serious attention include ethics and attitudinal change, professionalisation of the human resources management and using performance management as a tool for rewarding excellence and in the fight against corruption.